Jan Chappel is a Senior Technical Specialist at the Canadian Centre for Occupational Health and Safety (CCOHS) where she provides expertise in mental health, workplace safety, occupational hygiene and education to CCOHS’ team of specialists. Jan is the project lead for the Center’s online fact sheets (OSH Answers) and publications. 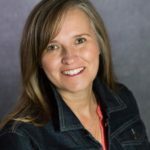 She works on a variety of projects including creating web tools and mobile apps for organizations such as WorkSafe New Brunswick and WorkSafe Saskatchewan and authoring e-learning courses. She also developed occupational health and safety educational material for teachers in Ontario and Costa Rica. Most recently, Jan co-authored CCOHS’ White Paper, Workplace Strategies: Risk of Impairment from Cannabis, and has given many presentations on this subject. She is an active member of several Canadian Standards Association technical committees, including Occupational Health and Safety Training, Incident Investigation, and others. Jan received a Masters of Health Science degree in Occupational Hygiene from the University of Toronto and a Honours Bachelor degree in Health Studies from the University of Waterloo. Mr. Demers is recognized as an international speaker and authority on the Canadian and international landscape of marijuana. As Occupational Health Operations Manager, Mr. Demers leads the most complex and fastest growing department of CannAmm. Mr. Demers’ commitment to lifelong learning is rooted in science and supplemented through executive education. His international presence and commitment to best practices is accomplished by serving on the SAPAA International Committee and IFDAT Legal Committee. Mr. Demers’ dedication to his community and the pursuit of a safer workplace is demonstrated by serving on the board of directors, as a member of the executive committee, for the Substance Abuse Program Administrators Association (SAPAA) and his local community Food Bank. By providing trustworthy information, tools, and best practices for occupational testing, Dan seeks to achieve his personal mission of effectively and sustainably ensuring more workers make it home to their families. James Frederick is the founder and principal of Frederick Health and Safety Services, LLC. In this role, he draws on three decades of experience providing health, safety, and environmental leadership to North American labor unions as an advocate and a resource to workers, their employers and regulatory agencies. In his prior positions, Mr. Frederick provided technical and tactical guidance to the United Steelworkers (USW) and other unions on various matters pertaining to occupational health, safety, and the environment. Mr. Frederick continually reached beyond the USW membership and worked closely with the USW’s management counterparts and others on a wide range of projects to improve workplace health and safety. He also provided leadership to the USW’s Tony Mazzocchi Center for Worker Health and Safety Education serving as the Principal Investigator on several federal grant programs for a number of years. He has been a member of a number groups including, the NIOSH Board of Scientific Counselors, the ANSI Z10 standard committee, the US committee that contributed to the ISO 45001 standard, the NIEHS Worker Training Program National Clearinghouse Advisory Committee, and the OSHA Metal Working Fluids Standard Advisory Committee. Mike is the President of Solaris Fatigue Management, a consulting firm that works in alliance with other human factors and fatigue management specialists alling them to provide a comprehensive suite of fatigue related services. Ms Harnett has over 30 years of experience consulting with various Cdn and US government agencies including NASA and Nuclear Safety, as well as assisting aviation, rail, trucking, oil & gas, maritime, and emergency service industries. A world reknown subject matter expert helping to establish national and international safety standards, with a background in human factors and sleep neurobiology, Mike is recognized for her ability to take complex subjects and deliver their content in a simplified, innovative and humorous manner for all to understand, making her a sought after speaker throughout North America. Jennifer Howker is the founder of Apple Tree Nutrition Consulting, University of BC alumnus, registered dietitian, science geek and mother. She works as an acute care dietitian with the Fraser Health Authority and over the past 18 years has covered areas including surgery, critical care, and general medicine. She has also worked in outpatient clinics focusing on diabetes and heart health. Jennifer is a contributing author to the best-selling book Mokita: Helping Women Navigate Midlife with Confidence and Ease. She believes nutrition plays a huge role in disease prevention and mental health and wellness. Ryan is the Chief Executive Officer of the Saskatchewan Safety Council where he has overall strategic and operational responsibility for the Saskatchewan Safety Council’s staff, programs, quality and execution of its mission to Work Together to Achieve a Safe Saskatchewan. Glyn is a Partner in the firm EHS Partnerships Ltd. He has been teaching and doing incident investigations for over 30 years. He has been retained as an expert to complete critical incident investigations and provide written and documented support to the lawyers representing employers being prosecuted for OHS offenses. Since beginning his career in safety over 25 years ago, Jeff Lyth has become recognized as an expert and innovator in workplace safety and leadership.He obtained his Canadian Registered Safety Professional (CRSP) and Certified Health and Safety Consultant (CHSC) designations, and served as Director of Corporate Health and Safety for nearly a decade before leaving safety management to work entirely in the leadership development/safety differently space. Throughout his career, Jeff has been involved in industry-leading innovation, such as the first Canadian use of computerized tower-crane anti-collision systems, the province-wide use of the ‘Safety Climate Tool’ survey from the Health and Safety Laboratory in the U.K., and the development of the BCCSA Silica Tool. Jeff has represented the Canadian Construction Association (CCA) on Health Canada’s transition to the Globally Harmonized System (GHS), and was accepted by the Department of Foreign Affairs as a Canadian Construction Occupational Health and Safety Specialist and participated in two missions to central China. He currently works in assisting organizations and safety departments to move beyond conventional views of health and safety and to break through the performance plateaus associated with those views. A respected authority on driver behaviour, psychology and training, Mr. McDonald is the founder and President of Thinking Driver and has guided his organization to a leadership position in driver safety across Canada. As a specialist in program design and a background and education in counselling psychology, Spencer has worked in the road safety field since 1984 and has trained thousands of drivers and instructors including school transportation, police, firefighters and emergency vehicle operators throughout Canada and the U.S. He won the 2008 Transport Canada and Transportation Association of Canada Award of Achievement and the 2013 Canadian Society of Safety Engineering Outstanding Achievement Award for his 30 years in driver safety. Spencer appears frequently on national television and radio, writes a column for Canadian Occupational Safety e-magazine, and is an international speaker on the topics of road and fleet safety, aggressive driving, and driver training. Eldeen Pozniak, BA, BSc, CEES, CHSC, CHSMSA, CRSP, FIIRSM, CMIOSH, CEO Pozniak Safety Associates Inc and CEO Diggins Safety Consulting. Eldeen, a Canadian Registered Safety Professional (CRSP), a Certified Health and Safety Consultant (CHSC), a Certified Health and Safety Management System Auditor (CHSMSA), a Fellow of the International Institute of Risk and Safety Management (FIIRSM) and a Chartered Member of the Institute of Occupational Safety and Health in the UK (CMIOSH),… well she has diverse safety designations and educational background. Eldeen is committed to a Safer World of Work. Her commitment is demonstrated by her 25 plus years of experience and involvement as an advisor and consultant to various industry sectors, government organizations, and businesses, and as lecturer at educational institutions. It is also shown through her involvement and volunteer positions in safety and health related associations. Eldeen is the Past President of the Canadian Society of Safety Engineering (CSSE) and the past president of the International Network of Safety and Health Professional Organizations (INSHPO), and is the current standards practice chair of the International Practice Specialty of the American Society of Safety Professionals (ASSP). Due to her commitment and professionalism, she has received a regional and national Safety Professional of the Year awards in Canada. She has been honored by the American Society of Safety Professionals in their publication – 100 Women making a difference in the safety, health and environment profession, she been inducted into the Saskatchewan Safety Hall of Fame, had been presented with both the Saskatchewan and Canadian Safety Professional of the year award (in different years) and she was recognized and invited to have tea with the queen at Buckingham palace for her contributions to health and safety globally. For these reasons and more, Eldeen is sought after to share her passion and knowledge as an International Key Note and Sessional Speaker. Norm has over (30) years’ experience in Occupational Health & safety. He is currently semi-retired after working with several industry groups over his career. Norm got his start in Occupational Health & Safety in the early 80’s working for Western Canada Steel, a local steel manufacturing plant. When the plant closed, Norm found new employment as a Safety & Quality Assurance coordinator at CAPTIN, a wheel manufacturing division of Toyota. He remained in the roles for over 10 years before moving on to his next challenge as a Safety Consultant with the Vancouver Coastal Health Authority. 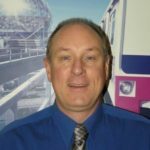 Recognizing his desire to work in a more hands-on approach with workers, in 2003 Norm moved on to a new role as a Senior Safety Analyst with the SkyTrain Operation and in 2013 he was promoted to Manager of Occupational Health. Norm is a member of the CSSE, Canadian Society of Safety Engineering. During his 24-year membership he has held numerous elected positions within the local Chapter; two consecutive terms as Chapter Chair, Vice Chair and Director. Norm has CRSP and CHSC designations, Canadian Registered Safety Professionals and Canadian Health & Safety Consultant. As well Norm is also a Certification Disability Management Professional CDMP. Kirk has 20 years of experience in various supervisory positions at different levels of a large mining company. He has been a frontline supervisor of unionized workforces, has spent several years as a middle manager of both unionized and non-unionized employees and spent three years as a Human Resources Manager. Most recently, Kirk has been a Safety, Training, Health and Environment Manager and is now Manager of Support Services, Manitoba Operations for Vale Canada. Retired as a Vice President for Syncrude Canada Ltd., Gord Winkel joined the University of Alberta in 2010 as Chair and Industrial Professor for the Safety and Risk Management Program in the Faculty of Engineering. In this capacity he provides safety and risk management education to final year engineering students and has worked to make this a core competency requirement for all engineering disciplines. In April of 2016, Gord was announced as Director of the School of Engineering Safety and Risk Management. He has worked extensively in the oil sands mining industry. He joined the Imperial Oil/ExxonMobil organization as a Vice President on Loan from Syncrude Canada Ltd. to advance the Kearl Oil Sands Project. Gord was Vice President, Aurora Bitumen Production at Syncrude Canada Ltd., served as General Manager of Extraction, was Manager of Extraction Operations and formerly Manager of Mine Maintenance/Operations again with Syncrude. His work to improve workplace safety led to a Distinguished Lecturer Award from the Canadian Institute of Mining in 2002. His work to advance the Surface Mining Industry through sharing knowledge, technology, best practices and innovation has led to a second Distinguished Lecturer Award from the Canadian Institute of Mining in 2008. A third such award was received in 2013 for leadership in advancing safety excellence in the global mining industry. After losing the vision in his left eye from a workplace accident, Daniel York knew he wanted to prevent similar injuries from happening to others. Today, as the OHS Audits Manager at the Manufacturing Safety Alliance of BC, his goal is to make sure employees are protected at work.